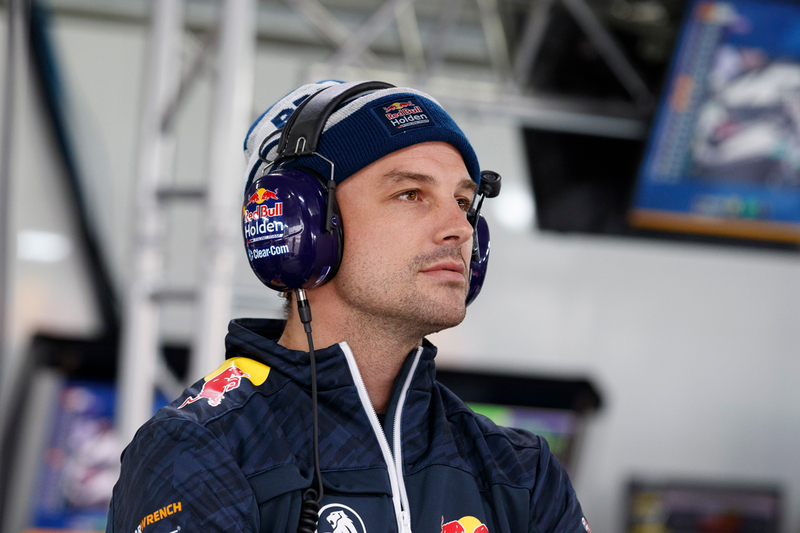 Shane van Gisbergen’s PIRTEK Enduro Cup co-driver Earl Bamber will undertake double duties at the Supercheap Auto Bathurst 1000 in October. The 27-year-old Kiwi will share Brenton Grove’s Holden in the 250km Dunlop Super2 Series support race in a bid to fast-track his learning process. A two-time Le Mans 24 Hours winner, Bamber is preparing to tackle the Supercars enduros for the first time this year. 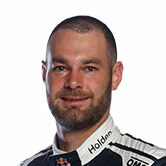 He briefly drove Grove’s Triple Eight-built Super2 Holden in a pre-season test at Winton, before steering van Gisbergen’s car in practice at the same venue last month. Bamber has a long association with Grove Racing, including previously driving with Brenton’s father Stephen in the Bathurst 12 Hour. "I’ve known Brenton for a long time now and help him a bit behind the scenes so it will be awesome to share the car with him,” said Bamber. “Brenton has got a steep learning curve as well so hopefully I can pass on a little bit of knowledge from what I’m learning in the main series, but also all around the world. “It has always been amazing to work with Grove Racing, for me, the journey started with them all the way back in 2013 when I was doing Carrera Cup as a completely unknown kid. “Stephen was the one guy who gave me an opportunity and chance way back then, so it’s amazing to be able to drive with them still five years later. “We had spoken about the three of us driving Bathurst together [in the 12 Hour], so it's cool to be able to team up with Brenton. “Sharing the car with Brenton is a massive help towards my Bathurst 1000 main game preparations, obviously it’s just more track time and chance to gain more track knowledge. “He’s in a Triple Eight car, one from last year, so the aerodynamic package is different, but certainly most things are still the same - it’s definitely a help. Brenton Grove moved into Super2 this year after stints in Formula 4 and Porsches, sitting 22nd in points after three challenging rounds. 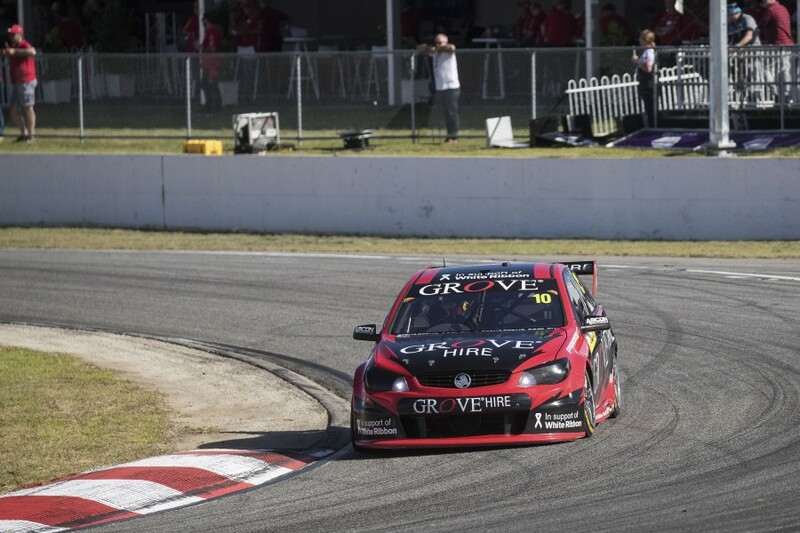 Grove was assisted last time out at Barbagallo by another Triple Eight co-driver, Steven Richards, who provided guidance to the youngster. 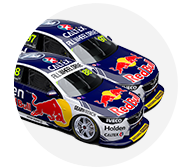 The Super2 Series, meanwhile, has been used by Triple Eight to keep Jamie Whincup’s co-driver Paul Dumbrell sharp over recent years. Triple Eight team manager Mark Dutton says he’s looking forward to also seeing Bamber in the Super2 field. “The miles are good, but it also adds even more interest for us,” Dutton told Supercars.com. "Earl has slipped straight in and is part of our family already. “The way he gelled with our team at Winton, we couldn’t have asked for more. Bamber will miss the additional driver practice session at Queensland Raceway next month due to his Porsche commitments, but will return for Triple Eight's pre-Sandown 500 test.